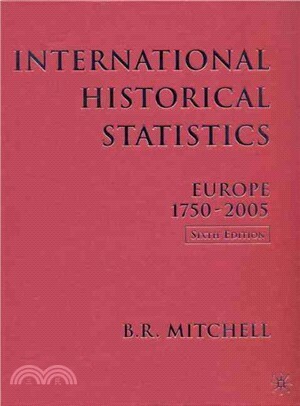 International Historical Statistics; Europe 1750-2004 is the latest edition of the most authoritative collection of statistics available. Updated to 2004 wherever possible, it provides key economic and social indicators for European countries over the last 254 years, serving as an essential reference source for both hard-to-find historical data and the latest figures available, and as an indispensable tool for comparisons between countries and across time. Dr B.R. MITCHELL is a Fellow of Trinity College, Cambridge, and lectured in the Economics Facility at the University of Cambridge from 1967 to his retirement in 1991. His previous publications include Abstract of British Historical Statistics with Phyllis Deane (1962), Second Abstract of British Historical Statistics with H.G.Jones (1971), British Parliamentary Election Results 1950-1964 with Klaus Boehm (1966), Economic Developments of the British Coal Industry 1800-1914 (1984) and British Historical Statistics (1988) as well as previous editions of the International Historical Statistics series.